Ahh, didn't see that. Thanks! (Tokyo, and Good-Bye—originally created nearly forty years ago, but just as resonant now as ever—the legendary Japanese cartoonist Yoshihiro Tatsumi has come to be recognized in North America as a precursor of today’s graphic novel movement. 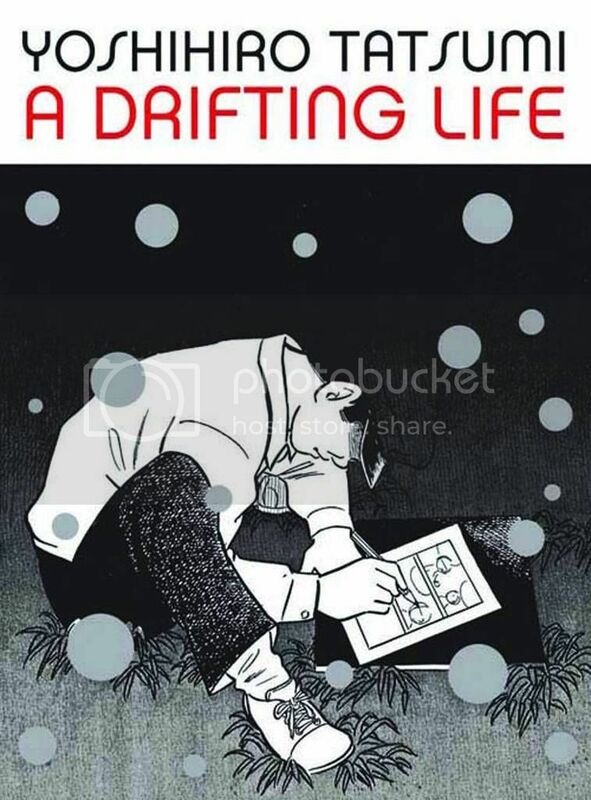 A Drifting Life is his monumental memoir eleven years in the making, beginning with his experiences as a child in Osaka, growing up as part of a country burdened by the shadows of World War II. (In an art career that now spans six decades, Art Spiegelman has been a groundbreaking and influential figure with a global impact. His Pulitzer Prize-winning Holocaust memoir Maus established the graphic novel as a legitimate form and inspired countless cartoonists while his shorter works have enormously expanded the expressive range of comics. (Taking a break from the serialization of his saga Clyde Fans and the design of The Complete Peanuts, critically acclaimed cartoonist and illustrator Seth creates a farcical world of the people whose passion lies in the need to own comic books and only in pristine, mint condition. A charming and amusing caper where comic book collecting is a world of intrigue and high finance. 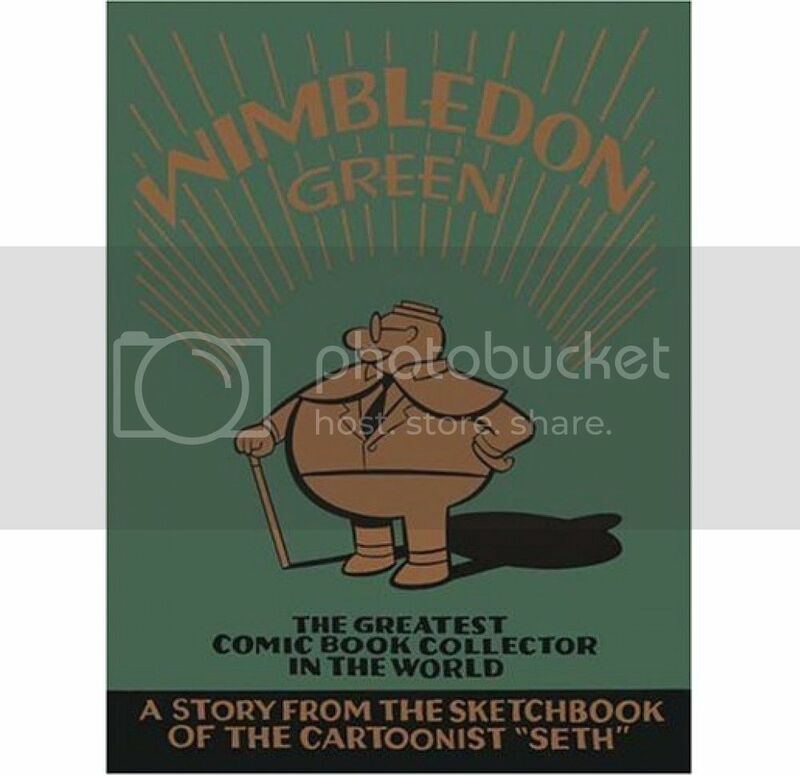 Part riotous chase, part whimsical character sketch, Wimbledon Green looks at the need to collect and the desire to reinvent oneself. ), and more ! 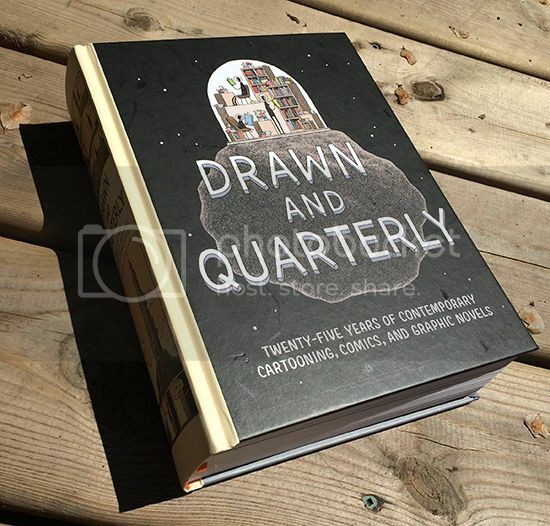 Very excited to be exploring more of their stuff as I read this awesome 776 page, 4.6 pound hardcover labor of love to independent cartoonists and their lovely craft. Well, I'm back from vacation and ready to chime in. Note: I don't purport to be the most broadly read of classic comics fans, so my list is based upon my own limited knowledge, reading experiences, and preferences. A major star of the 1940s and the king of Post-Wertham comics in the '50s, Dell had more genres, franchises, and licensed television and movie characters than they could publish titles for, so the vast majority of them swept through Dell's anchor "Four Color" title, which was published as frequently as was necessary (multiple times per month), churning out stories as fast as young readers could consume them. In addition to being the bedrock upon which the Disney Comics franchise was launched (Carl Barks being the best, but not the only, talent to rise out of that era), there were a multitude of other genres explored, perhaps most predominately the Western genre. 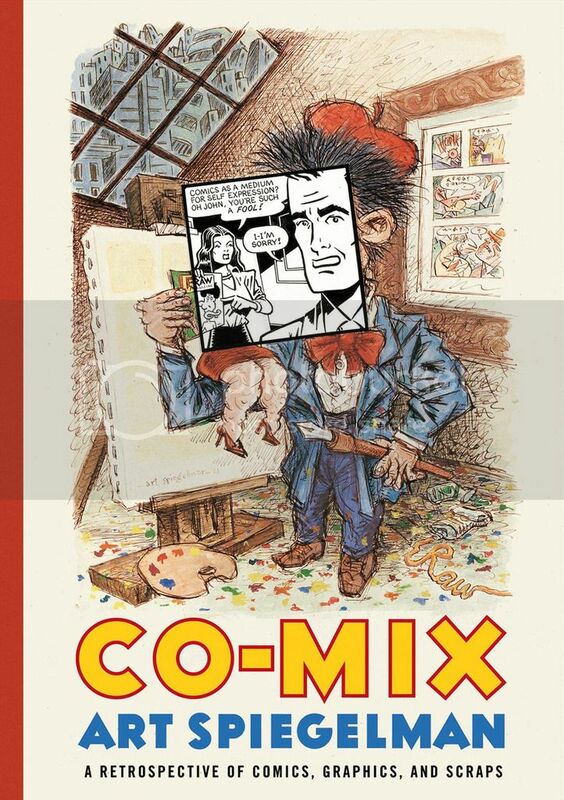 While I suspect many classic comics fans resent or simply dismiss Dell for being inoffensive and family friendly, there was a wholesomeness to be found there that was comforting. To this day, when I read a Dell comic, even a bad one (and with such a large output, a lot of them were bound to be stinkers) there's a sense of idealized times past to be found in each and every comic, and I cherish that. Plus, there's always ALWAYS something bizarre and new to be discovered in a back issue bin full of Dells that you'd never heard of before. In 1991, when the comic book industry was heading towards its biggest glut since the mid 1950s, Valiant was the company that proved to fans that there was more to comics than exaggerated artwork, foil covers, and massive crossover events. The Valiant stories were heavily character-centered, emphasized strong writing over their quaint house style of art, developed meticulous continuity to the point that Jim Shooter personally re-wrote an issue of Harbinger from scratch at the zero hour because it had X-O Manowar appear on Earth while he was in space in his own comic that month, and used clever marketing to hype stories and events that were well planned and generally worthy of the attention. Of course, once Shooter was dismissed (likely for being the overly-conrolling ego maniac most claim he is -- a trait that makes him an often brilliant editor but also impossible to work with), the company went downhill fast. Essentially, I think Valiant captured the best of Jim Shooter. You can look at his time as EIC of Marvel and come up with as many things he screwed up as did right there, but Valiant was where he fired on all engines and made seemingly all the right calls. I've maybe read three EC books ever, but I love the legacies it has left behind. While I don't think they were the first to do horror, crime, and humor publications, they were the ones who did them so well as to give them staying power, inspiring publications that followed, even up to today. I'm a huge fan of the Warren horror mags, none of which would have existed without EC. Meanwhile, Warren's output had nothing on the diversity and magnitude of publications that came out of EC. If there really is a multi-verse, then just about every other Earth out there has the Big Three instead of the Big Two, with Fawcett and the Marvel Family standing toe to toe with DC and Marvel. Captain Marvel and his spin-off titles were undisputedly superior to the Superman franchise in their day. The premise was more interesting, the powers were more exciting (heck, Superman was neither invulnerable nor capable of flight until Captain Marvel came around), the art was more energetic, and the humor thrown into the mix was more laugh-out-loud funny. I adore these books and would be a more avid collector of them if I could find them inexpensively, but everyone else seems to know they're great too. Tower was, by no means, one of the best non-Big Two publishers in comic history, but I find those books ridiculously fun. They're corny, sometimes bizarrely outlandish, tightly aligned, and that Wally Wood art is to die for. I swear, UNDERSEA Agent alone is one of the most odd, creative and enjoyable reads I've ever had. 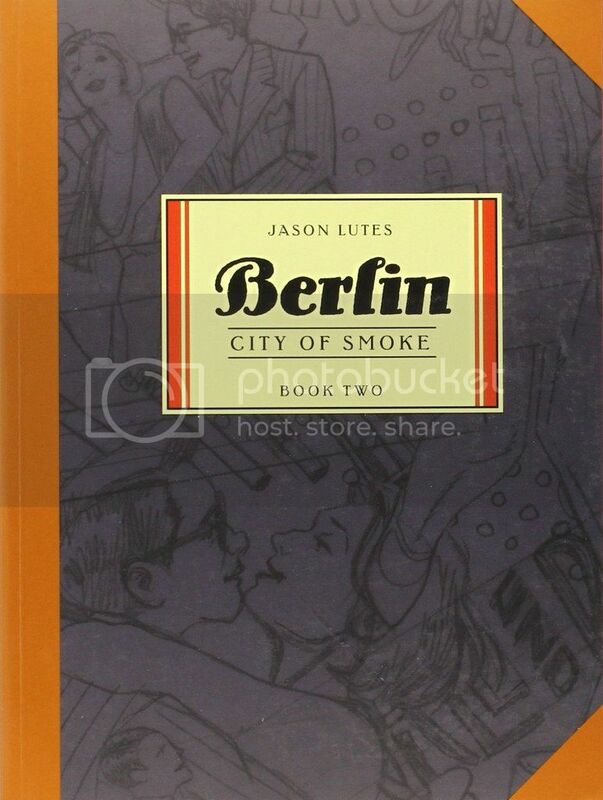 Berlin is one of my favorite comics of all-time. Lutes actually released a new issue a few weeks ago after not releasing anything in several years. My LCS actually put it in the window as "Book of the Week", which is why I like my LCS. It sounds like you have a great LCS. The Marvel / DC people will already come to a comics shop. Promoting other things that people don't know about, like, Berlin or Blankets or Persepolis (one of the best stories I've ever read), is what I would do with my shop. Interesting, I did not expect FIRST to be in 2nd Place among our Members here. Dark Horse, Archie, and Dell - remains popular and EC that came in 1st was a shock to me. I'm not surprised to see EC as number 1; nice to see First at 2; Dark Horse at 3 is solid, surprised Archie & Dell made the list, and sad Fantagraphics didn't make it, but oh well. Very pleased to see EC at number one, obviously. Archie, Dark Horse, and Dell are also quite deserving. Of the top five, I'm least familiar with First. Looks like I have some enjoyable homework to do. I thought Fawcett and Valiant had a chance, but I'm not too surprised by the results. EC certainly deserved to win. From what I've read, the quality was fantastic on a consistent basis. It was a real eye-opener seeing how influential EC, particularly in regards to Stan Lee's approach with Marvel. Given the average age of the posters here I'm not surprised by the showing for First Comics. They were the most successful of the 80s indies commercially. And they had huge hits with American Flagg, Jon Sable, Grimjack, etc. Well deserved.